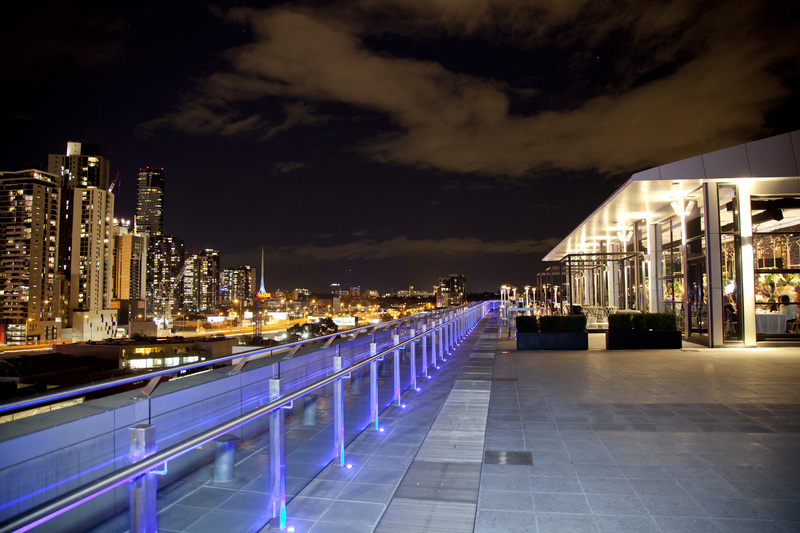 Flooded with natural light during the day and glittering city lights by night Luminare, on the edge of the city, is THE most gorgeous and exciting urban rooftop venue available for evening functions you could imagine. Managed exclusively by The Big Group this contemporary loft style setting enhanced by sweeping wrap around balconies and stunning views of Melbourne’s city skyline, is just made for swish soirees, parties, dinners and cocktail events. Add fantastic food, fabulous staff and brilliant views, and Luminare presents a venue made in heaven. Luminare can accommodate up to 450 for a standing cocktail style event,and between 220 and 250 for a seated event, with or without dance floor.